Getting Ready to Sell this Spring? 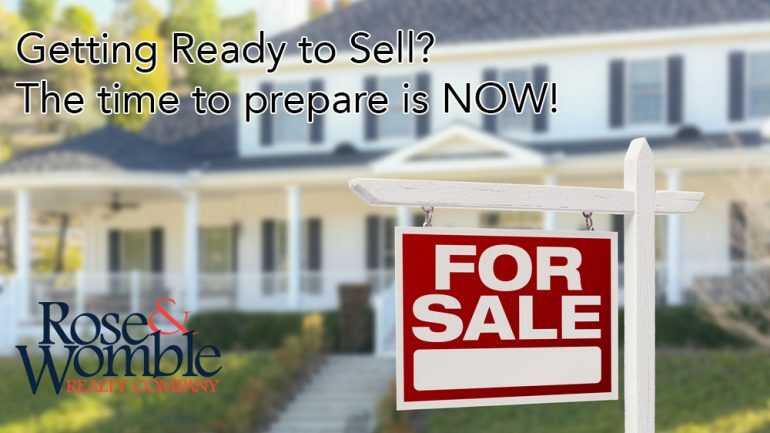 The time to prepare is NOW - Rose & Womble Realty Co.
Winter isn’t over yet, but as the days begin to get longer and temperatures rise, the thaw will soon begin. And as the weather starts to warm so does the housing market! I know, it’s still February but if you’re thinking about selling your home this spring the time to prepare is now. The process of selling your house begins well before you list it — in fact, it begins before you even hire a Realtor! So with the spring market only weeks away, here are just a few things to keep in mind as you take those necessary first steps. The key to getting your home sold quickly and for the highest price possible, doesn’t begin with changing anything in your home. It begins with changing your mind. 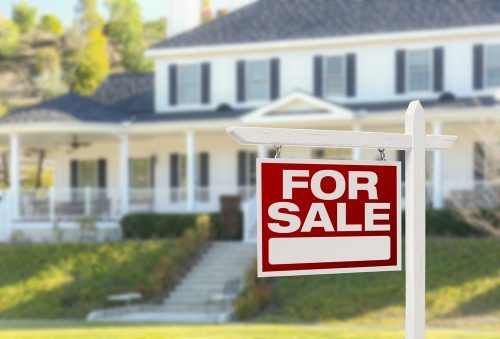 If you’re serious about selling your house for top dollar, then you need to start thinking of it as just that: something that you’re trying to sell. We know the place probably has a lot of great memories attached to it, and will never be just a house: it’s your home. But in the lead-up to putting it on the market, do your best to put those feelings aside for now, and start thinking of it as a product you are marketing. It’s as true with selling your house as it is with any task: if you just keep telling yourself that you’ll get everything done “eventually,” you never will. Set a realistic date for being ready to list your house, and then stick to it. Make a list of everything you have to do, and give each task its own deadline. Write all of these on your calendar, and cross them off when they’re done. If you find yourself falling behind these deadlines despite your best efforts, that’s a sign your ultimate deadline wasn’t quite as realistic as you thought. Don’t be afraid to push it back a little further. Unless your circumstances are such that you absolutely must sell by a certain date (and they likely aren’t), there’s no rush here. Try to find a deadline that’s near enough to keep you motivated, but far away enough that it’s within your power to meet. If you’ve ever watched any of the many house-hunting shows on TV, you know that the decision to make an offer or pass is halfway made before they even walk through the door. When the exterior of your house makes a good impression, it has what Realtors call “curb appeal,” and it can absolutely make or break a sale. Repaint. There’s no excuse not to put a fresh coat of paint on there, especially if the old paint job has started to fade or peel. Pick a pleasant, neutral color. Power wash. Grime and dirt build up. Especially if you have vinyl siding, you want to leave your house looking like it was just built. Fix everything you can. Following on from the last point, fix all the little flaws like broken bits of trim, cracked siding, etc. You may not notice all these things anymore, but potential buyers certainly will. Landscape. First impressions aren’t generated just by your house itself: the front lawn and yard factor in as well. Trim trees and bushes, prune dread branches, and keep your lawn healthy, regularly mowed, and free of clutter. As the time to list comes closer, make sure you give adequate thought to what you’ll do when you actually start showing your house. First, think about staging. Get outside impressions of the interior of your house, from friends, family, and especially your Realtor. Plenty of great free resources on effective staging are available online. Try to be honest with yourself about whether your current furniture and arrangement will appeal to someone who’s never been inside your house before. No matter how great a house is, if it’s packed with furniture and clutter, buyers will only see the stuff, not the space. You don’t have to go full Marie Kondo, but let house hunters see how much space your home has by removing the extra furniture and tossing out the clutter. Home shoppers also like to see rooms furnished with one purpose in mind – no craft room/guestroom combo for example. Allow buyers to imagine their own families living in your home by limiting photos and personal mementos. Finally, a beautiful home will get buyers through the door, but it’s ultimately the price that makes or breaks the deal. Home pricing can be tricky. Go too high, and you risk turning off potential buyers. Go too low, and you’re leaving money on the table. That’s why it’s a good idea to work with an experienced Realtor to help you set the right price. One simple but powerful technique for pricing your home is to spend time looking at comparable homes with your agent. By doing so, you will be seeing the world through a buyers’ eyes and gain a better understanding of what a reasonable listing price looks like. It can be tough to take such a business-like view of the home where your family has made years of memories. But ultimately, you want buyers to be able to imagine it as their future home, not be reminded that it’s currently yours. And if it’s truly time to sell, you won’t regret making some of these tough decisions. Ryan C. Benton is a Realtor with Rose & Womble Realty in Chesapeake and a member of the Hampton Roads Realtors Association. Realtors are real estate agents who adhere to a strict code of ethics and work to protect and preserve private property rights. For more on HRRA, go to www.hrra.com. Contact Benton at 757-544-0383 or rbenton@roseandwomble.com or visit TheHometownAdvantage.com.